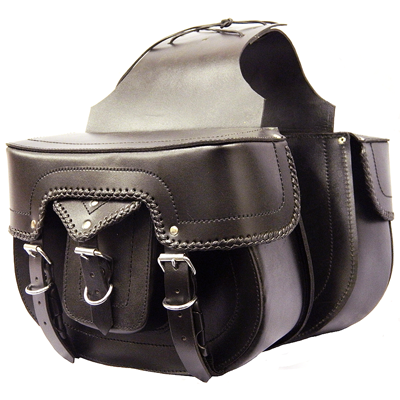 A really beautiful pair of leather panniers with full flap-over lids and intricate leather detailing. Made in extremely heavy duty cowhide, stitched together with strong Nylon-bonded thread and top quality rivets. Universal, easy fitting - adjustable width for under or over seat. Quick release strong plastic buckles for ease of use, covered with leather straps and chrome buckles to maintain the classic look - the best of both worlds.